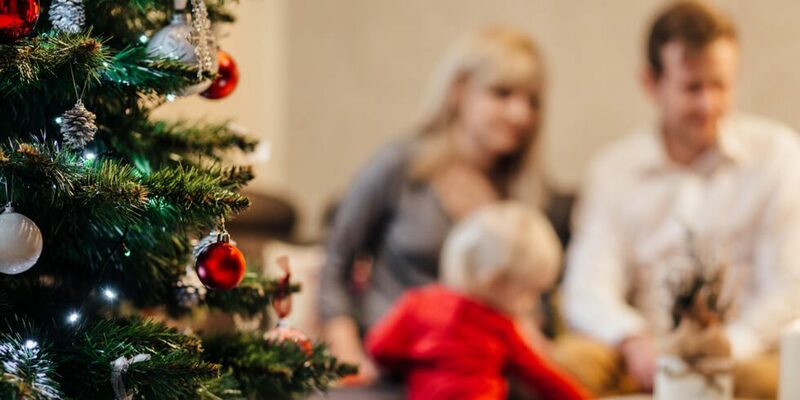 Every family has their own holiday traditions, whether it’s putting up the tree right after Thanksgiving dinner, hosting the yearly family reunion or baking special treats for Santa. Your home plays an important role in these traditions, and that’s why Shearwater’s home builders go the extra mile to provide a variety of different styles, floor plans and options. So, whether you have the best light display on the block, the most memorable holiday parties of the season or prefer quiet evenings by the fireplace, there’s sure to be a home at Shearwater that’s perfect for your holiday traditions. Homes by David Weekley Homes are built for entertaining with spacious, open floor plans. Whip up your holiday favorites in the kitchen and easily transport them to the attached dining room, all while chatting with friends and relatives in the living room. Plus, with an extended covered lanai, you can move the party outdoors and enjoy the cool winter weather and twinkling stars. Homes by Lennar include the Nexia™ Home Intelligence System, making hosting guests a breeze with keyless entry and remote monitoring of the front door and thermostat. With the ability to access the system via any web-enabled device, you can watch for those last-minute package deliveries, adjust the temperature if a sudden cold front blows in, or even unlock the door if your family arrives before you do. If elegant dinner parties are your idea of the perfect holiday gathering, then look no further than homes by Richmond American Homes. With a gourmet kitchen featuring a double oven and five-burner stove, you’ll have all the space you need for your favorite casseroles and side dishes and still have space for the turkey. And with a formal dining room right off the kitchen, it’s a recipe for the perfect holiday meal. You’ll never feel cramped when family comes to visit with a home by MasterCraft Builder Group. A multi-generational suite, available in most floorplans, provides family and friends alike their own personal space, complete with their own bathroom, living room and kitchen. Perfect for extended stays, you don’t need to fret when the grandparents stay for the entire holiday season. Do you dream of a towering Christmas tree, lavishly decorated with ornaments and glowing lights? With a home by D.S. Ware Homes, you’ll have all the space you need to make your dream a reality. With most plans featuring 12-foot ceilings, you can finally get that enormous tree you’ve always wanted, and still have plenty of room for your tree topper. If you love the idea of having a real fireplace and mantel to cozy up next to, then a home by Drees Homes might be the choice for you. With an optional fireplace available in some floor plans, you’ll have the perfect spot to hang the stockings, display Christmas cards or even just relax and enjoy the crackling of the fire with a steaming cup of cider. Come tour our models any day of the week and find the home that’s perfect for your holiday traditions. To learn more about Shearwater, join our Interest List to receive news and updates.